Officials at the London Zoo have put out a call to aquarium owners and fish collectors in hopes that someone will come forward with a female Mangarahara cichlid. This species of fish is extinct in the wild but there are three that remain alive in captivity; unfortunately they are all male. The fish are described by the Zoo as "gorgeously ugly" and if a female specimen can be found they are hoping to start a conservation program. The quest to find a female is extremely urgent as both of the males in their possession are 12 years old. The third male is in captivity in berlin; the German zoo had a female in their possession but their attempts are mating the fish were thwarted when the male killed her. "It's a fairly common thing with cichlids," London Zoo's aquarium curator Brian Zimmerman told BBC News. "They are unusual fish compared to many in that they practice pair bonding and parental care of the eggs and the fry, so there's a lot of tussling that goes on between them." 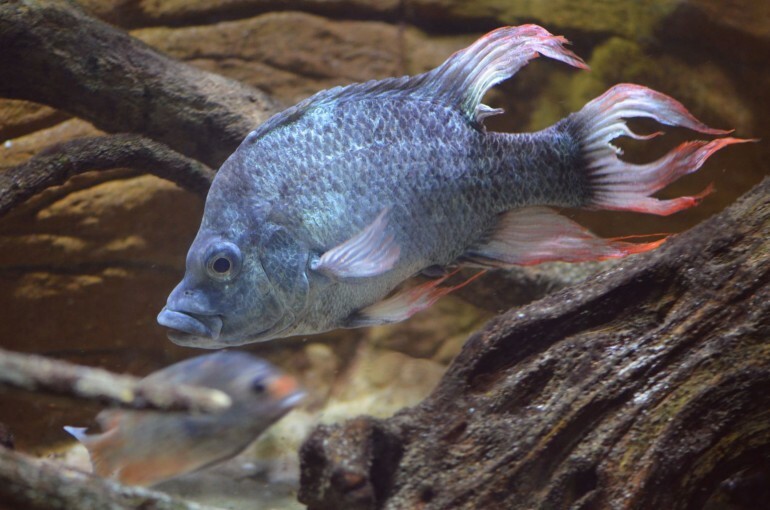 This species of cichlid was named after the Mangarahara River in Madagascar, where they were first found. However, construction of dams on the river caused the streams they lived in to dry up, destroying their natural habitat and causing their extinction in the wild. Having carried out a fruitless search with other aquariums around the world, the team at the Zoological Society of London are hoping someone might have a female in a private collection. According to Mr Zimmerman, if you have one you're likely to know it. "They are not a particularly beautiful fish - they are gorgeously ugly, they are unusual. They are more a connoisseur's type of fish. They need quite a bit of space; the males are bigger than your hand, and they need a decent tank," he added. However, Zimmerman is not very confident for the future of the species. "I'm not very hopeful. This freshwater fish crisis is huge worldwide, and as water becomes diverted for human use it becomes scarcer and fish generally lose out," he said. "I think there's probably a very slim to no chance of this fish surviving."